Home / Unlabelled / Android 6.0 Marshmallow...whats new..?? Google finally has a name for the next generation in Android OS, and it’s Marshmallow. 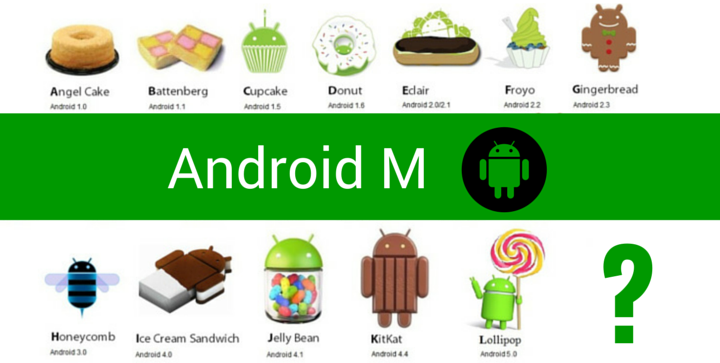 While the update itself made its debut at Google’s I/O conference back in May, as reported by The Verge, it was then known as Android M. The new name follows Google’s pattern of naming individual releases after sweets alphabetically, something it has done for year. Marshmallow is still in beta, and a final preview release was released to developers this week. Google expects to release a final version in the fall, although it may be a little longer before manufacturers ship the update to compatible phones. Android users will not notice much of a difference on the surface between Marshmallow and Android 5.0 Lollipop. Lollipop introduced a new user interface, which Marshmallow does not change much. Many of the improvements are underneath the hood, and are aimed at improving performance and stability. There are a few notable new features however, focused around six core areas. The first three focus on the user experience and security. A new permissions system gives users full control over what portions of the device an app can access. The system works much like iOS, in that apps will be required to ask for permission on a case-by-case basis. Previously users were required to grant all permissions at once. This made it difficult for Android users to control what information they wanted to share. Another useful upgrade is to what’s called “app linking,” where one app can directly call up another app by clicking a button or link. In older versions, Android would pop up a dialog box asking if the user wanted to open that app. That will no longer happen with Marshmallow. Battery usage in Android is also improved with a new feature called “Doze.” Doze works by using the phones built in motion sensors to detect whether a device has been used or not. After a set period of idle time, Android cuts down on background activity, which can significantly reduce battery life if left unchecked. How effective is this new feature? Engineering vice president David Burke told the Verge at the Google I/O conference in May that Doze was able to nearly double the standby time of a Nexus 9 tablet in tests, reports The Verge. The last three areas focus on new functionality. The biggest new feature is the debut of Android Pay, Google’s new mobile payments system. Like Apple Pay, Android Pay uses NFC for contactless payments. The new service takes the place of Google Wallet, but that app will not disappear. According to CNETs, Wallet now becomes a PayPal-like service, allowing users to transfer small amounts of money. Google functionality gets a reboot within Android with Google Now on Tap, which will work much like Siri. Users hold down their home buttons to to access the service and ask for help. For example, if a friend texts you about getting dinner, Now on Tap can use the context of that text to help you book a reservation or get directions to the restaurant, and so forth. Finally, Chrome is also getting a reboot in Marshmallow. The web browser can now be fully integrated into apps, allowing developers to build the browser seamlessly into the app itself without forcing the user to switch to the Chrome browser. Other features like automatic sign-in, saved passwords, autofill, and security are also available to developers, the company says. Besides the core areas that Google is focusing on there are some small enhancements elsewhere across Android OS. Better copy and paste, volume control, and USB-C support for faster charging are also included. Despite the new functionality, getting users to actually upgrade will still be a challenge. There’s always the issue of device compatibility, and the slowness of device manufacturers themselves to release updates to their customers. It’s for this reason that only 18 percent of Android devices were running Android 5.0 Lollipop as of the beginning of August, according to Google statistics.